Seattle Barista Academy is proud to announce that the ˜Food Network' will be airing a segment involving one of its Barista instructors creating ˜latte art'. United States, April 05,2014/Free-Press-Release.com/ -- Seattle Barista Academy is proud to announce that the ˜Food Network' will be airing a segment involving one of its Barista instructors creating ˜latte art'. Lorrie Mahieu demonstrates this creative coffee art using steamed milk and espresso on the show ˜Unwrapped' with the topic ˜Black and White'. The show airs on January 1st at 11:30 PM (Eastern/Pacific). For persons interested in learning about latte art it is a must see and if you can't catch it then, check back on January 2nd at 2:30 AM (Eastern/Pacific) or January 18th at 9 PM (Eastern/Pacific). The Seattle Barista Academy is a pioneer in Barista Training in the Pacific Northwest and continues to provide the highest quality - lowest cost coffee training and barista education on the West Coast. 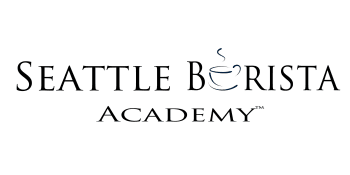 To learn more about what courses it offers please ˜google' its web site: Seattle Barista Academy, or go to seattlebaristaacademy.com.